It has been very summer like well into October here in the Chicago area. We took advantage of the weather by getting outdoors over the long Columbus Day Weekend. Max was staying with us so we had fun together. ​Indian Boundary Park in Chicago ​is home to an annual Fall Festival especially for children. Max has gone to the festival in each of his four years. Max's mom Angeli (Georgia's daughter) went with us as she has every year. His Dad had to work Sunday so he couldn't join us. 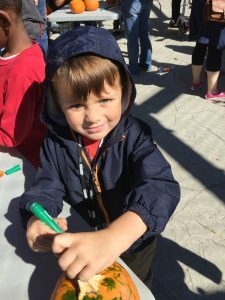 Activities at the festival included pumpkin decorating, kids games, bouncy houses, a petting zoo and pony rides. The warm weather brought out more people than usual so we had to wait in a long lines for the pony ride. We used the wait time to eat the subs we brought with us. 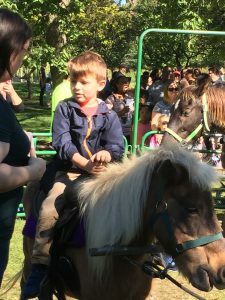 We finaly got to the fron of the line and Max had his turn riding a pony named Minnie. There was another line for the petting zoo so we decided to skip that. Max was happy to look at the animals from outside the fence but many of them still came over to him for a quick pet. It was a beautiful day and a fun family outing. 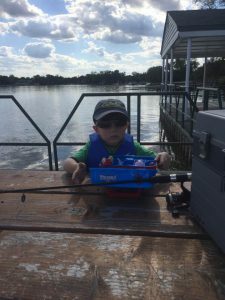 ​The warm, sunny weather held into Monday so, after some errands in the morning, we went fishing in the afternoon. We started out at Bangs Lake which is ​close to our house but didn't get and action there. After an hour of no bites, we moved on to ​Lily Lake which is just a few miles away in the village of Lakemoor. 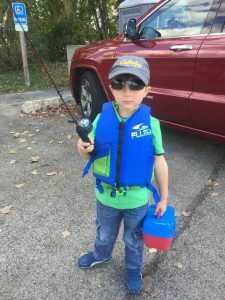 Max got plenty of bites and almost landed his first fish - it got off the work right at the waters edge. Still, it was a fun fishing trip. I think Max enjoyed getting worms out of the carton as much as he enjoyed fishing with them! ​On Tuesday the temperature dropped and it rained most of the day. If this was the last summer like weekend of the year, it was a good one.